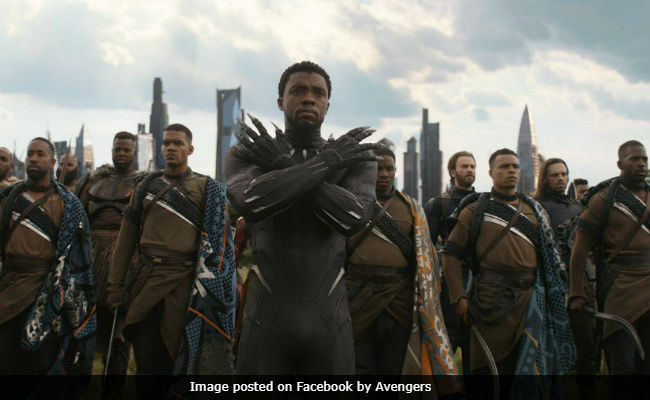 Avengers: Infinity War Movie Review - Marvel's new film features many a personality but has little personality of its own. It isn't hard to see what Iron Man is thinking. At any given point, Robert Downey Jr lets us inside his character's head to show us how Tony Stark thinks, and this - the visible personality, the unmistakability brought by each actor to each character - might be the greatest superpower of the Marvel movies. Most of their actors are now excellent at this, but Downey set the tone back in 2008 with the first Iron Man, and he remains arguably the best at comic-book acting, emoting minus a thought bubble. His eyebrows are his exposition. Therefore, in Avengers: Infinity War, when this vain overachiever talks about giving up dairy yet succumbing to ice cream after Ben & Jerry named a flavour after him, it makes sense. Downey delivers the line in that exquisitely offhand way, always making wisecracks appear genuinely improvised, and the moment flaunts his hubris. It is a satisfying moment, swiftly giving us a glimpse at what makes this particular Avenger matter, why he stands apart from the rest of his spandex-wearing peers, and it is definitively true to character. Avengers: Infinity War has more than a dozen such moments, where a line is spoken or an eye is rolled, as characters come into their own. 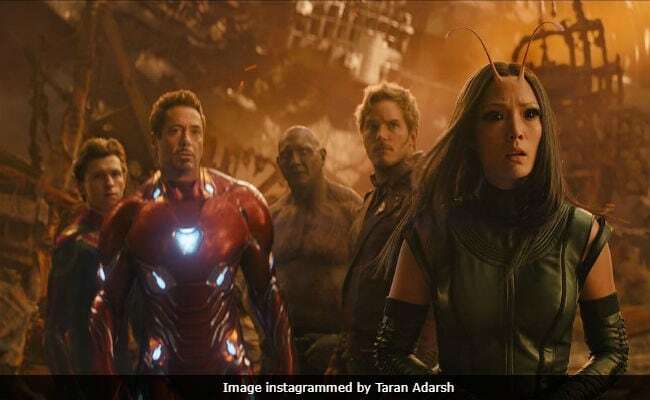 These memorable character beats - which deftly keep the frothy Marvel movies afloat - are nearly all funny, with the exception of one action beat where I was reminded of Sachin Tendulkar's Desert Storm innings at Sharjah, where one hero shows up with vehement valour. Who shows up? Where? I'm not saying, because this is going to be a review entirely free of spoilers for a movie that relies too heavily on spoilers. The problem is that unlike Thor: Ragnarok or the Guardians Of The Galaxy films, Infinity War is not a comedy. It cannot be. The imminent threat is too great. The movie opens with a dark action sequence that drops us into the action so vividly it feels like we might have missed a reel. 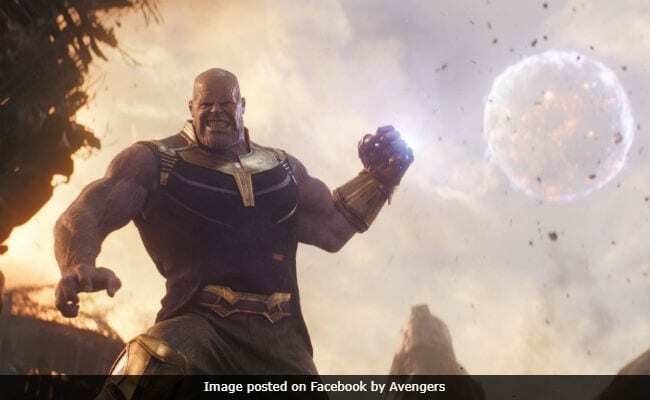 It is a running start that immediately establishes Thanos as a gargantuan, unforgettable villain. The film is about Thanos, a thoughtfully voiced purple titan who wants to destroy half of all life. Half. He does not want to carry out this genocide by favouring any race or species, he explains, but by picking the doomed and the survivors at random, with a snap of his fingers. This snap, involving a bejewelled Infinity Gauntlet made up of stones we have seen before in other Marvel movies, is what the universe's mightiest heroes are trying to stop. This, make no mistake, is a gloom and doom film, a film that doesn't offer hope or shawarma to our heroes. It does, however, as demonstrated by delicious but out of place wisecracks, offer up many a concession to the audience. Spider-Man talks about brand new armour having a "new car smell," Thor is described as the offshoot of a pirate and an angel, and Shuri from the Black Panther gets a quick dig at outdated American medical science. This is all a lark, but it does not belong. Avengers: Infinity War should have been a dark film where losses mattered. Instead, we are left with a safe film, with literally something for everyone. This approach results in complete tonal disharmony, where we go from emotionally weighty scenes dripping with father-daughter melodrama - supposed to make us ache - to shots where two blond actors named Chris run into each other on a battlefield and stop to compare notes on how they've influenced each other's hair and beards. This moment is supposed only to make us giggle, and this it does, but the laughter robs us of the real thing. That isn't entirely true. We feel impressed, for one thing. It is a brave, ambitious effort, this ridiculously top-heavy assemblage of action figures from different movies brought together in the most comic-book of ways, an almighty crossover that ties up all the titles. In the comics, a crossover event allows a publisher to tell a story so vast it involves all the heroes - including those whose comics you would not normally buy - and compels you to collect 'em all, since you may want to read about Dr Nightshade, "queen of the werewolves," once The Fantastic Four show up in her comic. The crossover event always teases immense consequences, where beloved characters die: till they don't. All is reversed and rebooted eventually, and a few months later, through convoluted narrative acrobatics, the heroes return to their capes. Some stay away a bit longer, but return they do. Nobody stays gone. Yet a grandiose superhero death scene can be devastating. Despite knowing that the characters we love are too commercially viable to really die, it gets us in the moment, makes us feel like we read something with actual aftereffects, and, more often than not, reminds us how superheroes can get things fatally wrong. Infinity War, to my mind, fails because of its desperation to shock us and its relentless narrative assault: 'gosh, is he really dead?' moves to 'is she dead too?' to 'he can't die, can he?' so quickly we don't have time to care. There is one scene where a character is stabbed, and that does feel massive and poignant and briefly lets the audience feel as orphaned as a Skywalker, but we are robbed of that crescendo because the film does not commit to it. It is perpetually holding out, waiting for the next what-if, or for the next joke. Josh Brolin is tremendous as Thanos, playing the villain with a majestic air of inevitability, while the best performance comes from Zoe Saldana as Gamora, who makes a green-skinned warrior woman utterly credible even when she's wistfully massaging Thor's muscles. Mark Ruffalo, by now, has made Bruce Banner his own, and handles the character's unique hang-ups well. 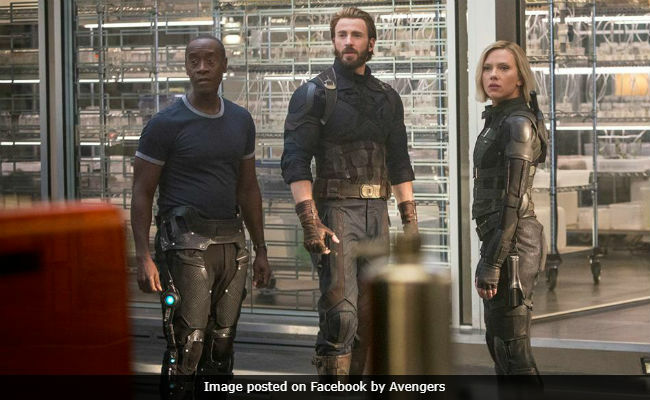 Downey is in fine form after looking rusty (sorry) in his last few outings as Iron Man, and, along with Chris Hemsworth, who plays Thor with infectious belligerence as well as touching vulnerability, corners most of the film's screen-time. Conversely, Scarlett Johansson's Black Widow has barely a line to speak, while Chadwick Boseman's Black Panther needed more to do than order shields for other heroes. Where's the room? 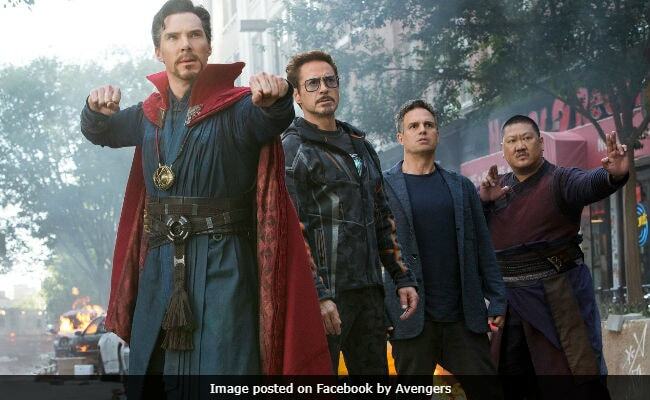 Elizabeth Olson as the Scarlett Witch and Paul Bettany as Vision have critical roles but are characters sadly devoid of charisma, while Benedict Cumberbatch can't quite pull off the wiliness of Dr Strange, even when he literally multiplies himself into several versions: a batch of cumbers, if you will. A word also for young Tom Holland, who shows that his Spider-Man may be the most Peter Parker of them all. It is admittedly thrilling to watch these characters together, but given that we have a superhero film every three months, are they really all that far apart to begin with? Infinity War is positively suffocated with superheroes, and at some point, a point that claims to matter, I lost count. At one point, Bruce Banner is informed that The Avengers had broken up. "Like a band?" he asks, mystified. "Like The Beatles?" Banner has the right analogy but the wrong band. In the infinite Marvel universe, the band plays on and on - the Rolling Infinity Stones, ladies and gents - destined to get back together over and over again, for money and nostalgia, the world's most misleading motives. A farewell tour is just a brb.